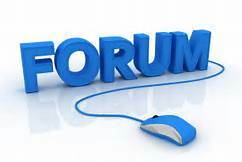 All your latest forum posts, political forum questions and answers, architecture forum, world politics discussion, ebooks forum, uk debate, book questions and latest posts, forum downloads, uk forum, forum posts, ebook views, ebook questions and answers. Feel free to post your comments and questions for our community to view and respond. Feel free to reply to as many topics as you so wish. Users will have to register with the forum and then subsequently log in in order to post messages. Please note users do not have to log in to read existing messages.